Slab is down! Now it feels real! Especially after all that rain last week…We are told Heath heads down to check over every slab, which is amazing! He checks on things like the foundations and if any sediment has been washed into them. Following on from last week, the rain……. It finally went down. 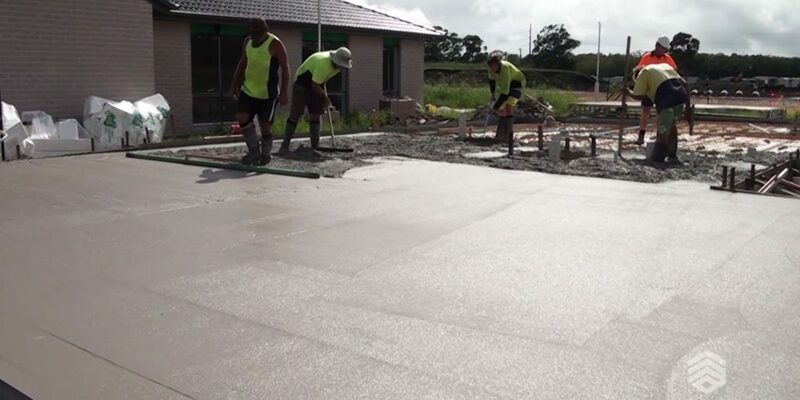 A real team of men on site it takes to get a slab perfect, the leveling and the accuracy is critical. You see the real workman ship from last week that goes into the humble house slab. 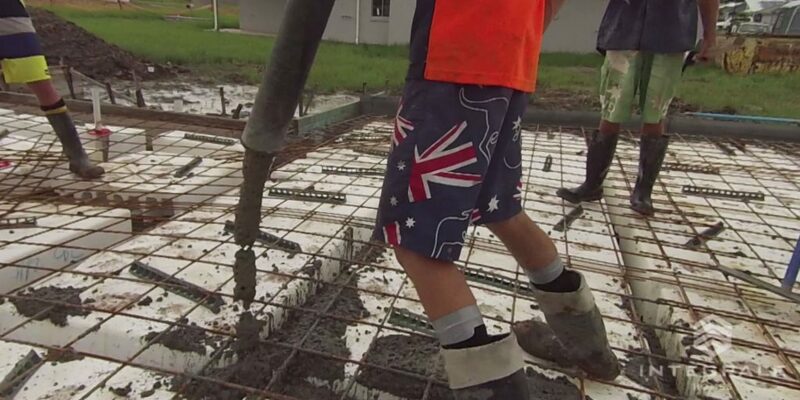 To come from a plan on a piece of paper (so to speak), to a real life, home size concrete puzzle being our new home…. is very exciting. It’s one of the first stages we get to meet our site supervisor! We were able to ask a million and one questions and talk face to face with a professional from Integrale who gave us so much of his time and knowledge on this stage of the build! Heath was great, he met us on site accompanied by a set of our house plans and walked us through each room on the plan! Being on a construction site at each stage of your very own home is really something else! If there’s one bit of advice I can offer you at this stage of the process it would be not to freak out at the size of the slab. 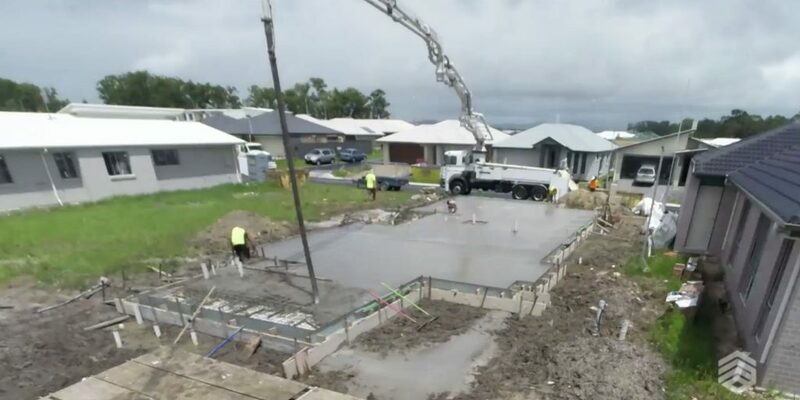 I first saw it and thought “wow, that’s smaller than I expected..”, but once our home begun to take shape we quickly realized it was actually just deceiving when it was a bare slab of concrete.